Sports Conflict Institute’s Joshua Gordon discusses athlete resiliency during a recent interview on SCI TV with professional runner and educator Shannon Leinert. They discuss the meaning of resiliency, the role of setbacks and challenges, and strategies to improve resiliency. When you get through a trial and you get to the other side with some type of success, you can define yourself. From performing your best to coping with setbacks, resiliency is a characteristic that athletes need to cultivate to become successful. 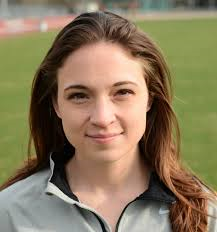 Professional runner, Dr. Shannon Leinert of the Oregon Track Club and University of Oregon recently sat down to discuss athlete resiliency with Joshua Gordon on SCI TV. As a professional runner, educator, business owner, and author of a forthcoming book, Leinert is uniquely positioned to describe the time management challenges facing athletes and strategies to build resiliency.